Established in 1951 to support the rebuilding of Japan after World War II, Pacific Consultants is one of Japan’s leading construction consultancy firms and today manages thousands of projects across 29 countries. In Japan the company has worked on some of the nation’s most important infrastructure projects, including to Shinkansen high-speed railway. In this interview, Shinichi Hasegawa gives more insight into his company’s operations, both at home and abroad. What is your analysis of the current construction sector in Japan? What are the challenges and opportunities ahead? The first challenge we are facing is Japan’s aging infrastructure, backed up with the lack of financial resources caused by the aging society. Our declining birth-rate has led to the creation of a negative demographic line, which naturally causes a lack of human resources for the domestic construction market. Although western countries have been strengthening their powers by developing their national infrastructure, similar strategies have been criticized in Japan based on the assumption that it would lead to financial deterioration. However, we should revive Japan by maintaining, managing and increasing the longevity of its existing infrastructure. To that end, western countries stand as cases of references. We should also re-build our infrastructure by considering environmental changes, technological innovations, population decline and the needs of an aging society. Japan’s aging society is also creating a lack of workforce. Although we notice a booming population in most of Asia, birth rate decline will eventually occur. When this trend materializes, Japan will have already faced such a situation and it will be our duty to show the world how to cope with an aging society. Our mission today is to create next-generation infrastructure that will support future growth and assist the creation of a safe society. Of course, leveraging on innovative technologies such as AI will be a step towards greater efficiency. However, our sector is one of the rare occupations where people create things with their bare hands and work together to build the future of the nation. Therefore, the creativity required by our job means that AI will never be able to replace all construction-related jobs. How can infrastructure projects help to revitalize Japan’s economy? Among Japanese politics, it is a taboo to debate domestic construction projects. Infrastructural projects cost an incredible amount of money and can harm the primary balance of yearly budgets. That being said, we must not forget that building great infrastructure ultimately contributes to the sound development of the economy. Over the past 20 years, Japan’s GDP has remained largely flat. The Japanese Government is searching for tactics to stimulate our GDP beyond 600 trillion JPY, and infrastructural projects will have to play a part in that economic elevation. To sustain a prosperous and competitive nation, we must achieve a solid foundation that guarantees the safety and security of our citizens. Both in terms of job opportunities and value creation, construction projects have the power to aid the nation. In the Asian infrastructural marketplace, we have seen fierce competition between Japanese, Chinese and Korean companies. How does Japan brand itself abroad? Chinese corporations are our great competitors. The difference between our two nations is that the Chinese government takes infrastructural projects as a political and national issue, and they use their entire national power for the success of their industry. Chinese people have a magnificent will to upgrade the country and to strengthen their international position. The main difference between China and Japan is linked to the perception of our work. In Japan, we believe that any infrastructural project must provide safety and security, while sustainably supporting the local economy on the long term. We call it “smart infrastructure.” For any construction project to achieve longevity, quality must be prioritized. In our industry, it is unfair to regard the immediate cost over the long-term return. If one desires to have long-living infrastructure, the price cannot be discounted. 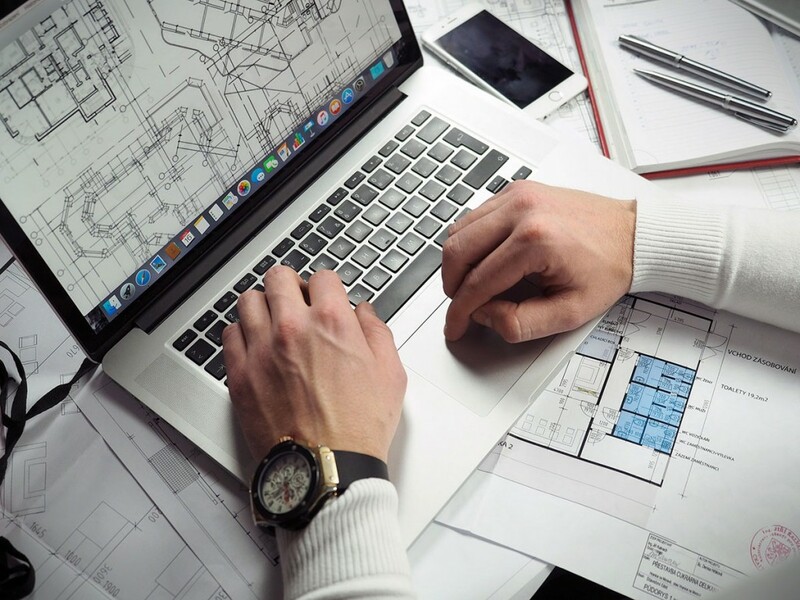 At Pacific Consultants, we believe that all construction projects should be of high quality, and pricing should reflect the right cost for the right value. At Pacific Consultants, we adapt our overseas strategy depending on the market at hand. For developing countries, we provide our integrated construction consulting services for the creation and operation of new civil engineering projects. For advanced nations, we provide our expertise in the maintenance and renewal of ancient infrastructure in order to enhance the characteristics of existing buildings. Through the use of our expertise and our technology, Pacific Consultants contributes to the creation of vibrant worldwide economies. What objectives do you have for the years to come? About 15 years ago, according to the International Engineering News Record, Pacific Consultants ranked as the 6th “best consulting company in the construction sector.” Currently, top Japanese corporations are ranked as low as the 50th position. About 10 years ago, our subsidiary in charge of overseas operations in the Pacific was ranked as a leading consultant in the entire region. Unfortunately, this brother-company was transferred to another entity. Right after that happened, I was nominated for the presidency. My mission was to recreate our overseas expansion in order to give dreams to our employees and young workers. I started another overseas entity 5 years ago, and while it is still small in size, I have great hopes for the future. Our objective is to surpass the 100 million USD in overseas sales by 2020; and grow into 100 billion JPY company by 2030. What are the competitive advantages of Pacific Consultants? Pacific Consultants has been a major player in the domestic infrastructure industry as a trusted consulting firm. Our expertise in the construction field spans over 67 years of history. Pacific Consultants was established in 1951 as a US corporation with the objective to restore the land damaged during WWII. We take great pride in being one of the top companies in our sector. Throughout the years, we have established an impressive track record both domestically and internationally. We currently have more than 1,800 highly trained and extremely capable employees, including PhD holders and engineers in the fields of civil engineering, construction, finance, healthcare and education. Thanks to our integrated system, our engineers can propose better infrastructure based on the needs and characteristics of our target market. At Pacific Consultants, we have the chance of having a motivated and courageous workforce. Furthermore, we have an acute technological know-how in infrastructure development, financial arrangement, construction and management. Our world-class technology requires us to recruit human resources abiding by the highest of international standards. We hire people from all around the world, and dispatch them to regional hubs outside of Japan. Therefore, it is highly important for us to have connections with companies outside of Japan. From these partnerships, we can accumulate local knowledge and information. Throughout our history, we have proven to be a Japanese company with Japanese values that has successfully worked internationally. Our mission is to make the world a secure and safe place. If I was to withdraw from our overseas operations, our younger employees would not let me. Although we have difficulties and obstacles in the international market, internationalization is inevitable. My mission is to make of Pacific Consultants a company that is needed by society forever; and my people can do it. Throughout its history, your company has led around 4,000 projects overall. What will be your strategy to ensure further contracts? We charge around 12 million JPY per project, which amounts to roughly 50 billion JPY per year in Japan. Looking at individual projects, the price differs from 1 million JPY to 2 billion JPY, and our activities range from planning and design, to management and maintenance. Our expertise is required for projects with technological competitiveness. To secure 4,000 projects, we have to place 40,000 bids. So our next challenge is to improve the success rate of our bids. As the domestic infrastructure market is estimated to shrink, it is also important for us to penetrate new markets. We are therefore focused on developing next-generation techniques that fit today’s changing needs, such as global environment, innovation and the aging society. As ODAs and private investments are increasing, we want to tap in the international realm with our full strength. To that end, we currently aim to achieve 100 billion JPY in international sales by 2030. What project are you the proudest of? Pacific Consultants was founded in 1951 with the objective of restoring Japanese land damaged by WWII. Our original mission was to develop high-level infrastructure similar to western countries. We are proud of this mission and of our impressive track records. Pacific Consultants participated in most of Japan’s large infrastructure projects: Shinkansen, Tomei and Meishin highways, Narita and other airports, the linear Shinkansen, dams and ports… Outside of Japan, we have been engaged in railway projects in Southeast Asian countries, and in the new Shinkansen-line in India. Furthermore, our activities are playing a role in the preparation for the 2020 Tokyo Olympics, such as stadium design, transportation planning and so on. We are currently developing countermeasures for terrorism and cyber securities, which are not traditional businesses for construction consulting companies. Furthermore, we are a member of Nihonbashi’s highway revival. We are also involved in many restoration projects, such as the Great Eastern Japan Earthquake, Kumamoto Earthquake, as well as typhoons and floods. In order to best cater for these natural catastrophes, we have developed technologies combining hard and soft infrastructure. We are proud of our contribution to the world.